A Collection Of Vintage Flowers, Seamless Patterns, Logo Templates + Bonus! It is another set with lovely vintage flowers – Sage, Cornflower, Marshmallow, Burnet, Celandine, Blue Vervain, Tansy, and Hyssop! 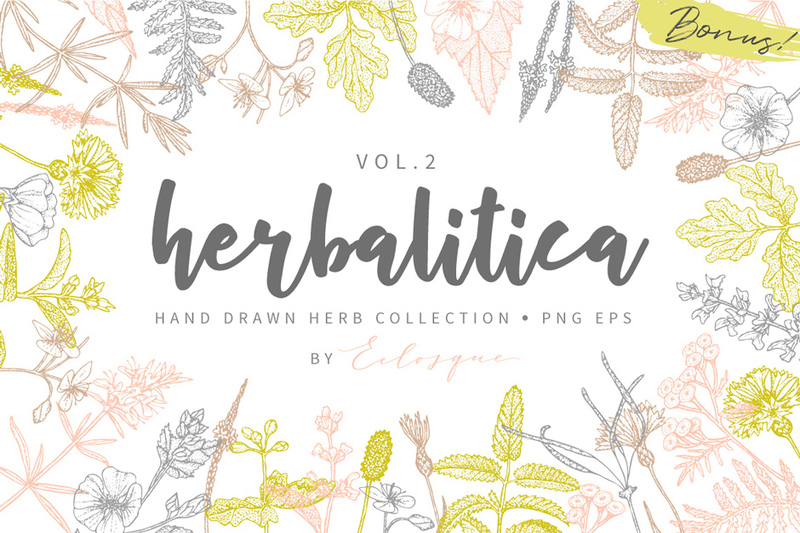 But this time herbal set has not only flowers and lots of separated small cute floral elements, but also seamless patterns, logo templates, and bonus social media templates both in raster and vector format! With this set you have endless possibilities, just be creative! You can create logos, surface pattern designs, social media templates, blog/website headers, wedding stationery designs, greeting cards, branding sets, packaging designs – play with colors, composition, blending modes, add shapes and fonts and create stunning and elegant pieces of work! 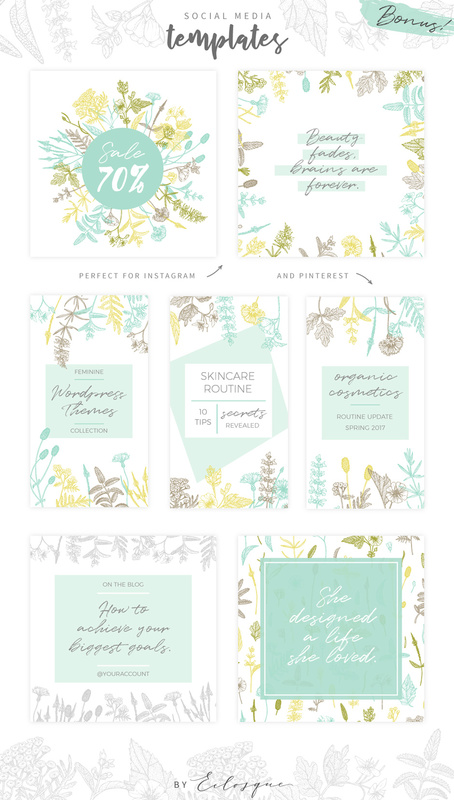 • Plus 8 herbs, separated flowers and social media templates in another color palette! • Help file + basic guide for logo/social media templates editing. Software compatibility: Adobe Photoshop CS6 and Illustrator CS2 or newer. .PNG files will work with most graphic software. Plus 8 herbs, separated flowers and social media templates in another color palette! Help file + basic guide for logo/social media templates editing. File size is approx 506.1 MB (907.1MB unzipped), offered as a single download.